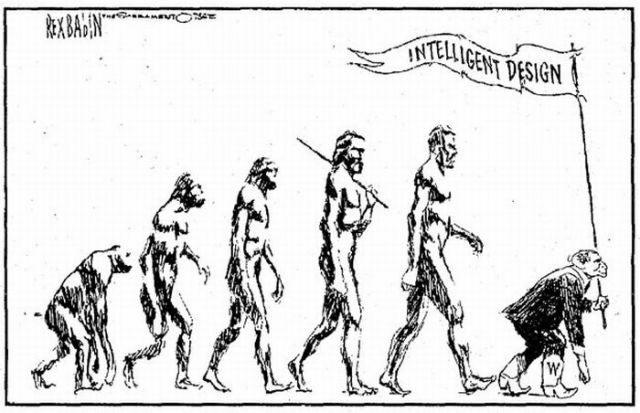 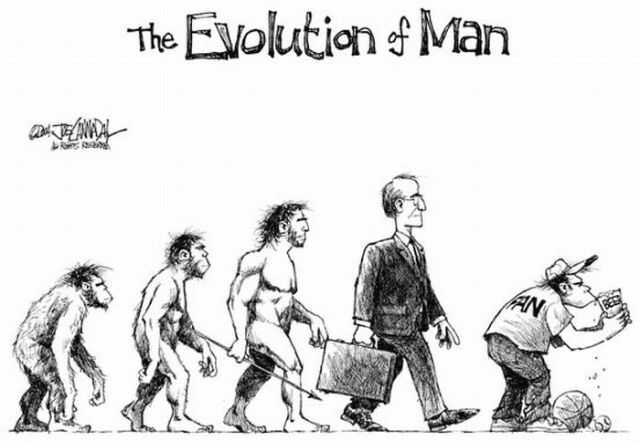 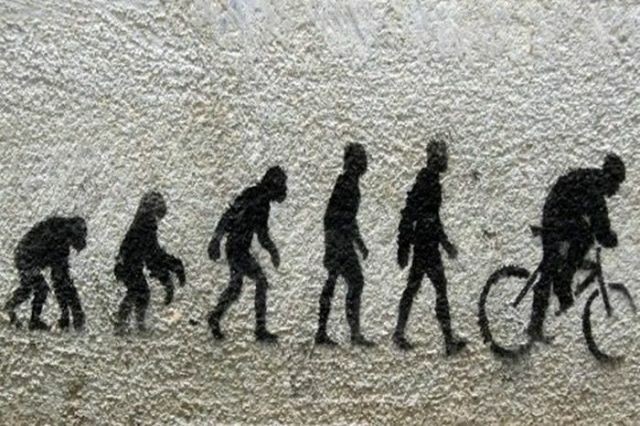 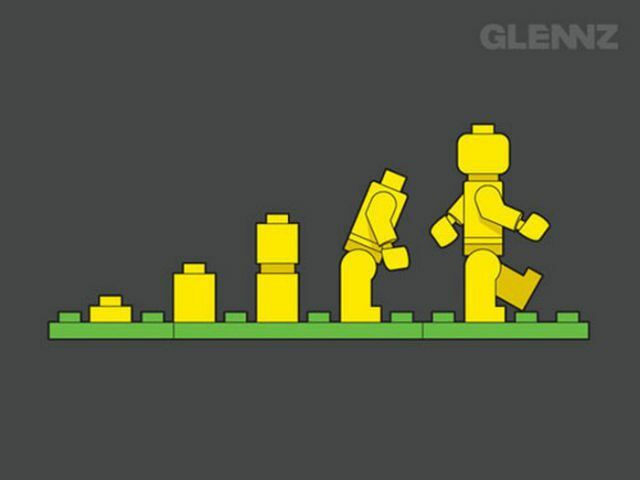 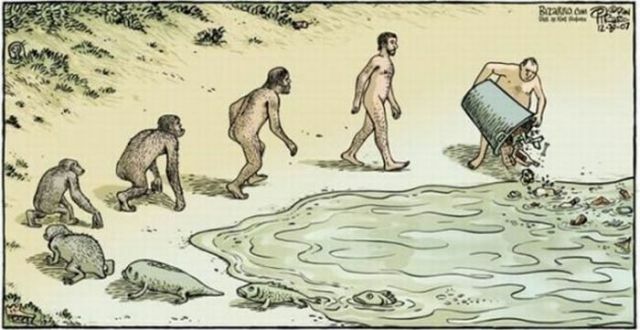 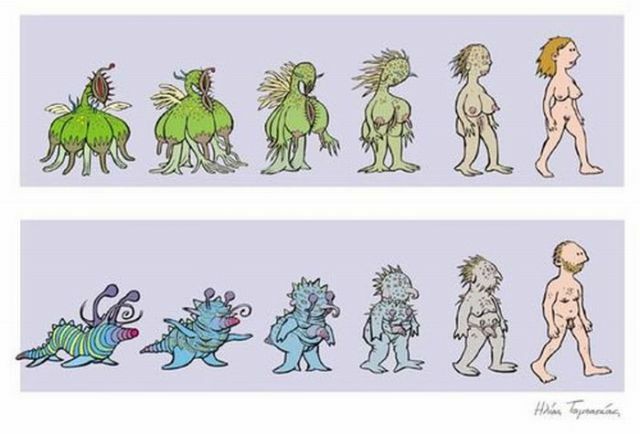 These cartoons represent a completely different kind of evolution. 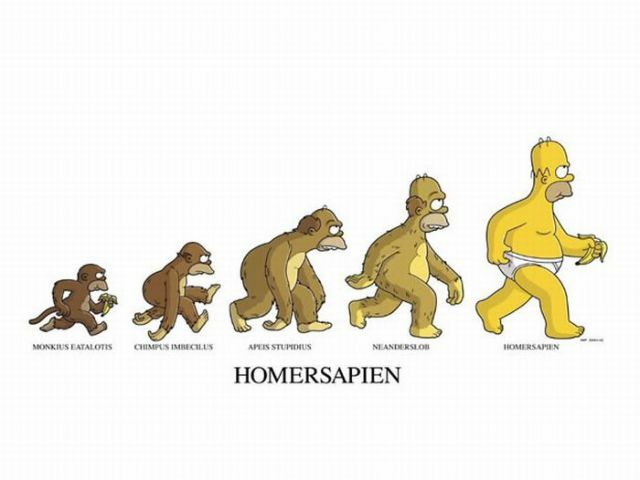 They are all very interesting and humorous. 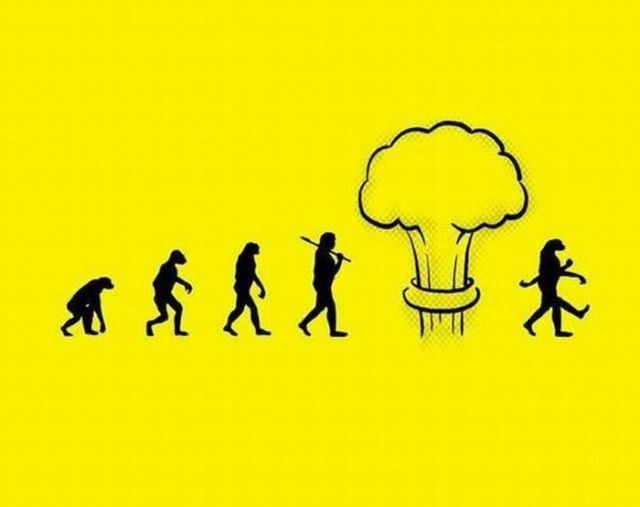 I don't like that one bit, the evolution of man is mostly positive, expept for the americans, whose lifespan is the only one to have dropped. 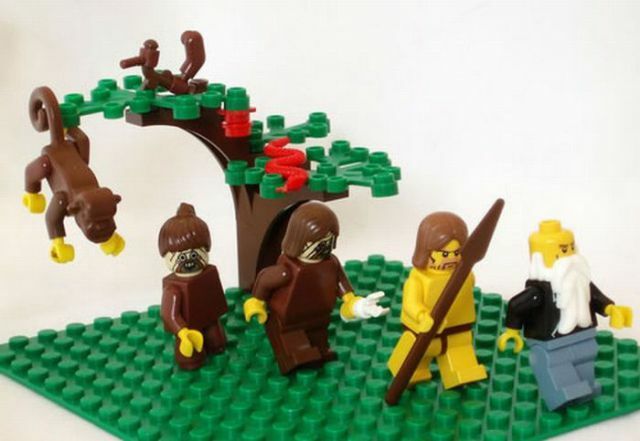 Haha how about Adam and Eva?